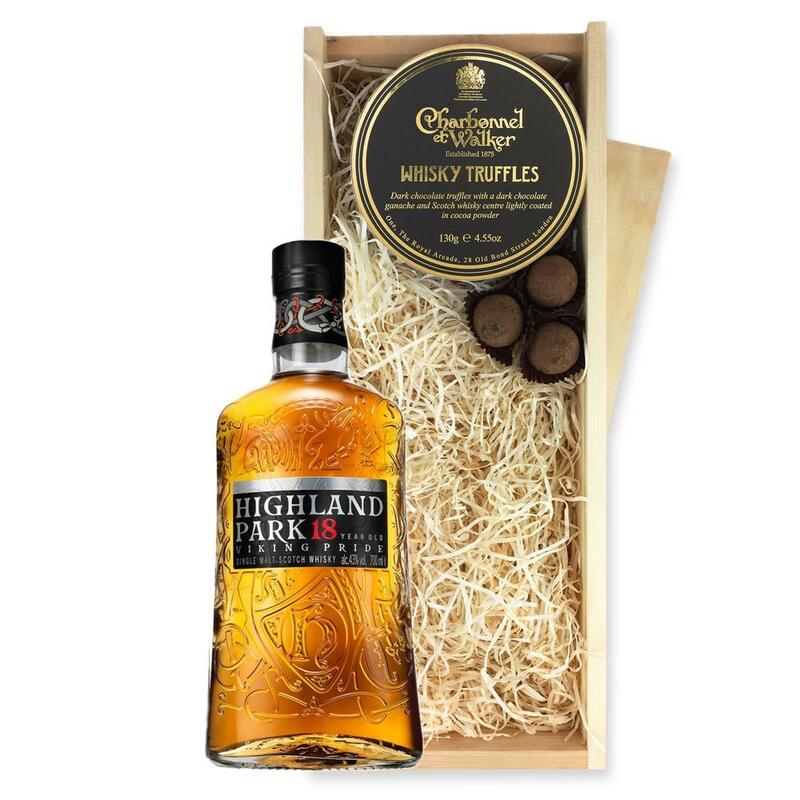 A single bottle of Highland Park 18 year old Malt 70cl & Charbonnel - Whisky Chocolate Truffles (130g), Presented in a wooden gift box with sliding lid and lined with wood wool with a Gift Card for your personal message. Highland Park 18 year old Malt - This has to be one of the most consistently excellent malt whiskies of the last ten years. Showered with awards and praise from all quarters it was named as Best Spirit in the World by F. Paul Pacult of the Spirit Journal in 2005. The nose is a profusion of ripe floral notes and fresh blossom with a delectable fruit salad. Notes of honeyed exotic fruits with a little botrytis. The palate is creamy and full with fruit conserves and espresso. This product is hand packed onsite by Gifts International, and is not affiliated with any other brand. Gifts International is responsible for this product combination/set.